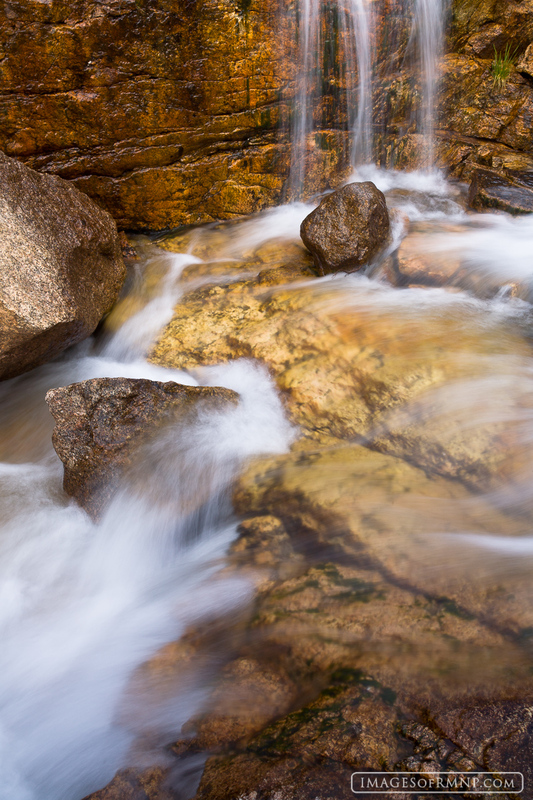 This little waterfall and boulder grabbed my attention on my way up to Lawn Lake. I really debated for a while whether I should go to all the work to climb down the steep slope to take the shot as it would likely delay me from my destination for sunset, but I'm glad that I took the time. Photo © copyright by Erik Stensland.